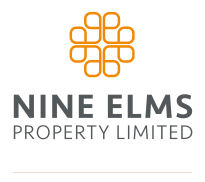 Nine Elms Property Limited is a wholly owned subsidiary of DAMAC International Limited. DAMAC is one of the most established and trusted real estate companies in the Middle East. DAMAC was established in 2002, as a residential, leisure and commercial developer in Dubai and the Middle East. Since then, the Company has expanded rapidly into North Africa, Jordan, Lebanon, Qatar, Saudi Arabia, Oman and the UK. A new level of luxury living has arrived in the heart of London. In an exclusive partnership with Versace Home, the global symbol of opulence, DAMAC Tower brings you the ultimate in branded living experiences.